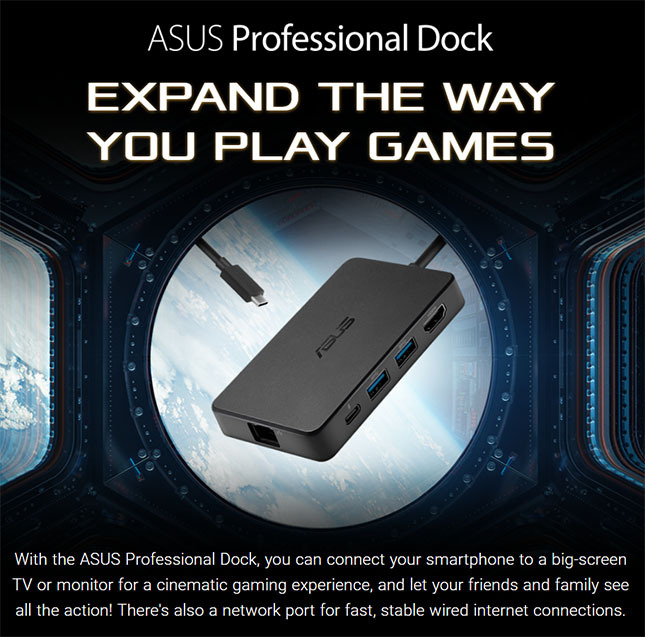 Project and share all the action with the ASUS Professional Dock. Equipped with 4K HDMI and USB 3.1 ports, this handy dock connects your smartphone to a monitor or big-screen TV for a cinematic gaming experience. 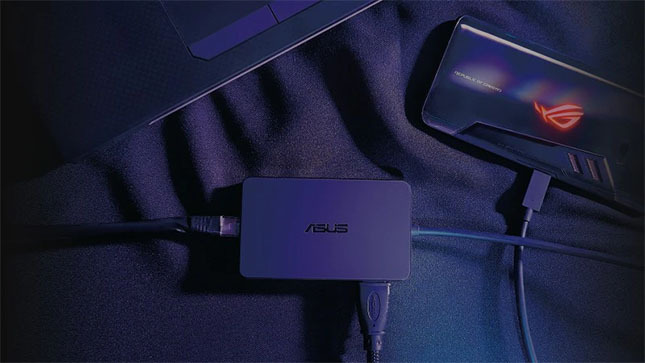 Plus, an Ethernet port makes wired internet connections fast and stable.